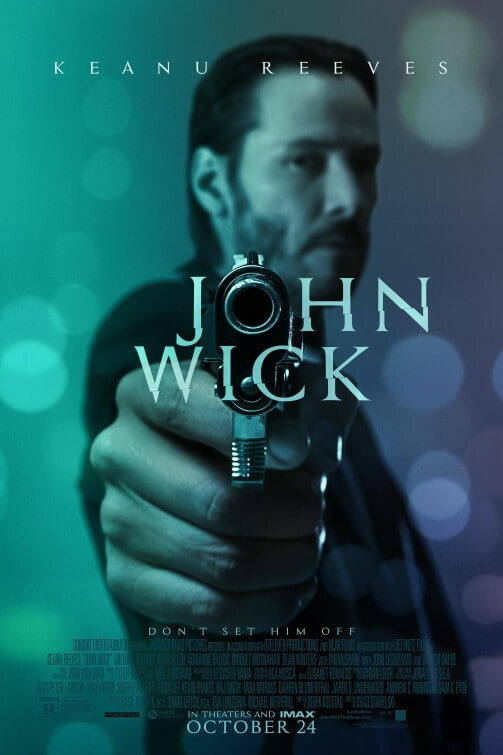 If animal rights organisation PETA is looking for a new ad campaign, then they’ve found a great one in John Wick; “don’t kill animals, or Keanu Reeves will f**king kill you” – now THAT’S a slogan, right there. The context, for those eagerly curious, is that Reeve’s titular character receives an adorable beagle puppy as a final gift from his dying wife, only to have it be brutally slaughtered by Alfie Allen’s spoilt son of Michael Nyqvist’s Russian gangster over Wick’s prized Mustang. This would send anyone on a brutal killing spree, but then again not everyone is John Wick, a former assassin well regarded in the underground community for his lethal and hard-hitting approach – at one point, he is said to have taken out a number of goons with only a pencil – and, until said incident, retired from that lifestyle. However, all champions eventually return to the ring in some capacity, and boy does he make an entrance. Reeves is on top form here in easily his strongest work for a good long while, at a time when his empty delivering of lines in the Matrix movies among others were starting to unfavourably define his career. At age 50, he proves here that he’s more than capable of leading an action movie as kinetic and highly-energised as this one; working with debuting co-directors and former stunt co-ordinators Chad Stahelski and David Leitch, Reeves delivers an impressive array of physical and – most importantly – practical fighting skills, all choreographed with the gleefulness of a common action movie fanatic. These are two guys at the helm who know exactly what makes an action scene work, not an overload of CG effects but rather just hands-on and real things happening right in front of your eyes, and they work off of that wonderfully while also bringing their own unique, neon-heavy style into the proceedings as well. Even if you don’t find the overall plot that fascinating – there have been countless ex-hitman-wants-revenge storylines before, albeit few of them over a dead puppy – there are many other twists and turns in the overall narrative that will certainly keep your attention. One of the most fascinating concepts is of an establishment known as The Continental, a hotel reserved exclusively for assassins with its own rules about not discussing or carrying out jobs on the premises, and is basically a place for killers of all kinds to chill out and have a drink. It’s a strangely intriguing idea, almost like The Best Exotic Marigold Hotel if there were more bloodshed – and set in New Jersey – and although it’s disappointing that it’s not explored too much in the overall narrative, the teases of how it is run by Ian McShane’s enigmatic owner certainly sets up further possibilities in a possible future sequel. McShane is just part of a series of quirky characters who show up yet have a great deal of personality – there’s Adrianne Palicki’s heartless contract killer, David Patrick Kelly’s fedora-wearing ‘cleaner’, Willem Dafoe’s ambiguous killer-for-hire and Lance Reddick’s eerily polite and knowing hotel concierge amongst countless others who shine as they come and go. You could almost build a television series out of all these characters, and how they work off one another in something similar to, say, Pulp Fiction. Hopefully, they too will be further explored in any future instalments. Stahelski and Leitch have clear influences in mind with their film, from action films of old – nods to the films of John Woo and even Die Hard, characterised in a background organ rendition of Beethoven’s ‘Ode to Joy’, are present and correct – to more stylised forms of media such as anime and martial arts movies, and you can definitely sense their lasting presence in the blue-tinted cinematography and the smooth, non-shaky camerawork. There is clear passion in their vision, and it makes it all the more enjoyable when you recognise what they are paying homage to in each appropriate scene. They would most certainly be welcome back for any of Wick’s future adventures. You may be wondering why we’re making so many references to a possible (it’s all but officially confirmed at this point) sequel to John Wick. Well, when the first film gets your attention with a great Keanu Reeves performance, great set-ups and strong action set-pieces, how can you NOT want to see more of this world? 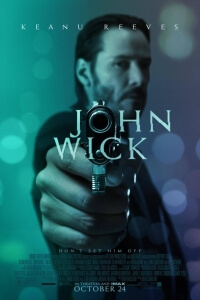 John Wick is a highly kinetic and entertaining revenge action flick, boasting one of Keanu Reeve’s strongest lead performances in ages while also presenting fascinating ideas and stunning action sequences by first-time directors Chad Stahelski and David Leitch that make it prime bait for a sequel we’re okay with actually wanting.